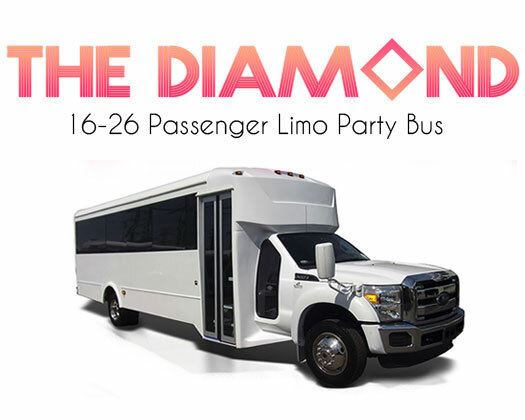 The Diamond Party Bus is the newest Party Bus in our fleet and it is a beauty! 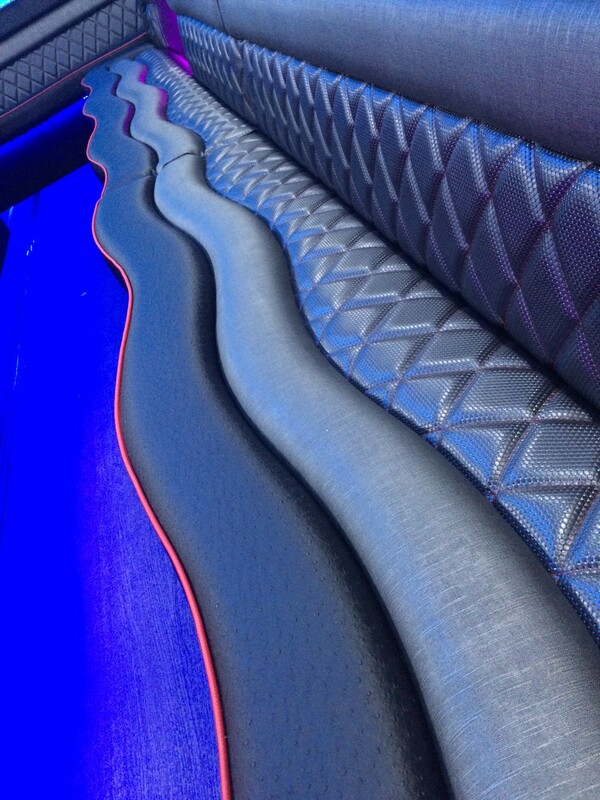 With a gorgeous interior and hand stitched premium leather seating, led wall and ceiling, Bluetooth audio system and a flat screen TV on board. This Party bus is great for weddings and big events, as it provides the most comfortable experience, compared to a limousine. 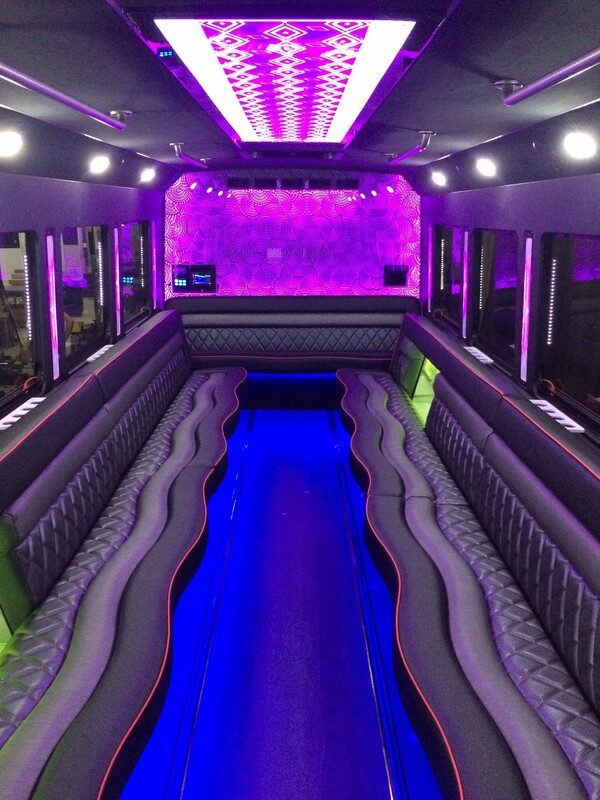 This Party Bus has a high powered AC System to make sure you never break a sweat, even in the hottest Raleigh heat! 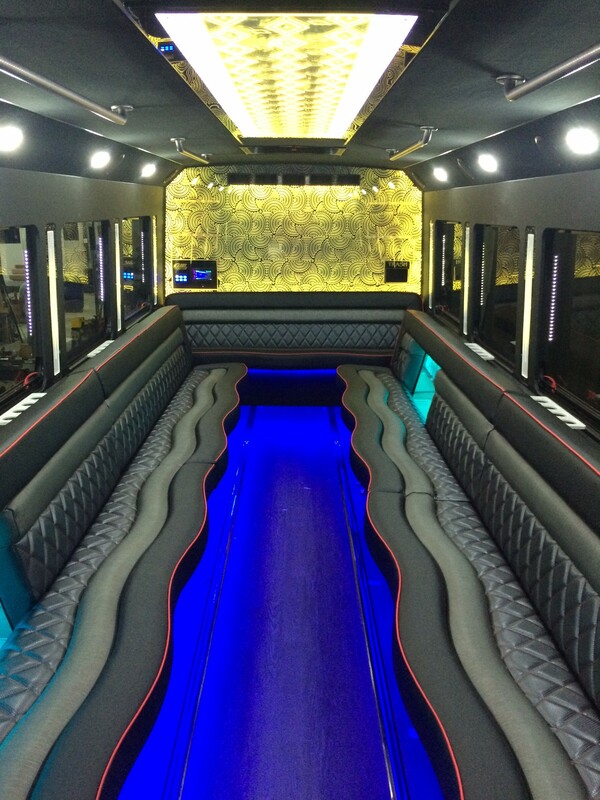 Don’t miss out – reserve this luxury party bus today!